Early this morning, common tenants of the locality of Pucyura in Vilcabamba (Cusco, Peru) saw a UFO. Reporter Raul Puma managed to record it on video, claiming nothing like this has ever been seen before in the area. 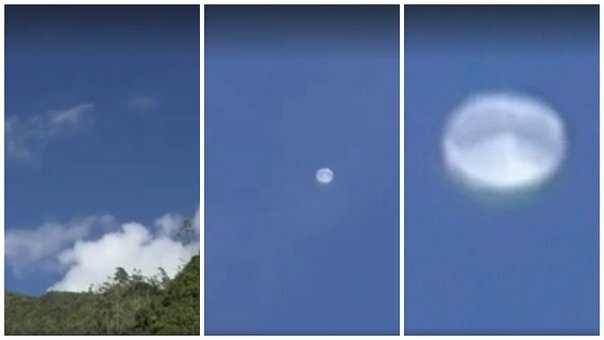 "I managed to record it at approximately 07:30 hours, but the object was flying over the vicinity of Habaspata since much earlier. At times it would approach and withdraw from where we were. It made no noise whatsoever and suddenly vanished into the clouds," he said. What exactly was caught on video remains hitherto unknown. However, weather balloons employed for meteorological testing are sometimes mistaken for flying saucers. The authorities have not made any statement about such a device being launched in the area in question.